It’s estimated the individuals spend on average nearly two hours each week in the bathroom. With so much time spent there, trade professionals naturally want to make these spaces inviting and comfortable. ProSource® of Memphis offers a complete complement of bathroom remodeling products and materials that can help make any bathroom more enjoyable. 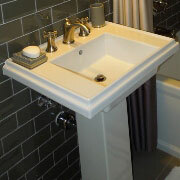 A beautiful bathroom sink can tie together the visual aesthetics of a bathroom. Before your next remodel, we encourage our trade pro partners to visit our showroom and find a sink that best matches the decor and style of their client’s bathroom. 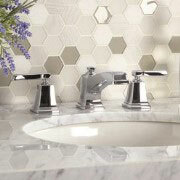 The sink faucet in your bathroom is a subtle, but important stylistic element for any bathroom remodel. 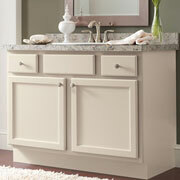 More than just moving water, it can help tie together the appearance of the sink and vanity. At our Bartlett showroom, you’ll find a range of faucets in finishes and designs that will complement any bathroom. The shower serves as a retreat and refuge for many homeowners. Whether they’re ending a long day, or about to start one, the shower is an essential part of an everyday bathroom ritual. Trade pros can sculpt a shower into an oasis with the doors, handles, heads, and other accessories at ProSource. For discerning clients who want suitable storage in their bathroom, without having to sacrifice their style, trade pros can offer them a vanity. When accessorized with a decorative mirror and brilliant new light fixture, your client’s new vanity will fit their needs perfectly. 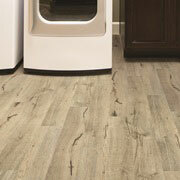 Bring your bathroom remodel together with a brand-new tub from our ProSource showroom. Available in a host of materials, like marble and porcelain, as well as economic options like fiberglass, trade pros will find a tub that perfectly fits any size bathroom. 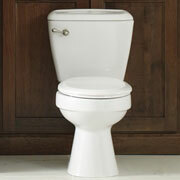 The toilet is perhaps one of the most frequently used fixtures in the entire home, let alone the bathroom. Treat your clients to a new high-end toilet, and they’ll enjoy not only comfort but added features like water efficiency, saving them water and money.